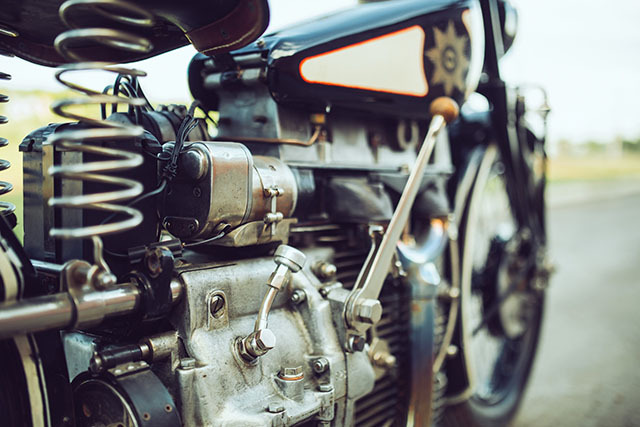 Almost every motorcycle company in existence today was started by one man with a vision, with immense ambition to bring that idea to life and with the drive to make it happen against all the odds. 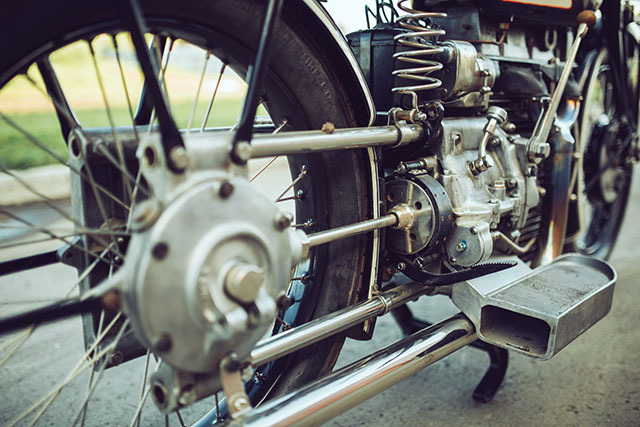 From Michio Suzuki and Soichiro Honda in Japan to James Norton and Count Agusta in Europe, these men forged companies that would dominant the motorcycle landscape for decades. But for every commercial success there were hundreds of companies that failed and the dream of many a man shattered, some because of war, others tragedy and global economic decline. 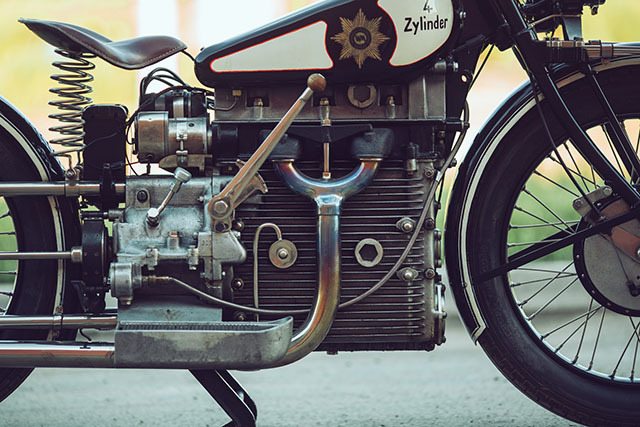 But amongst those that failed to survive are a handful of motorcycles whose importance to the technological advancement of our beloved machine is so vital the few examples that remain live on as reminders of where it all began. One of the greatest of these is the German built Windhoff 750 that broke new ground and initiated technology that lives on today. 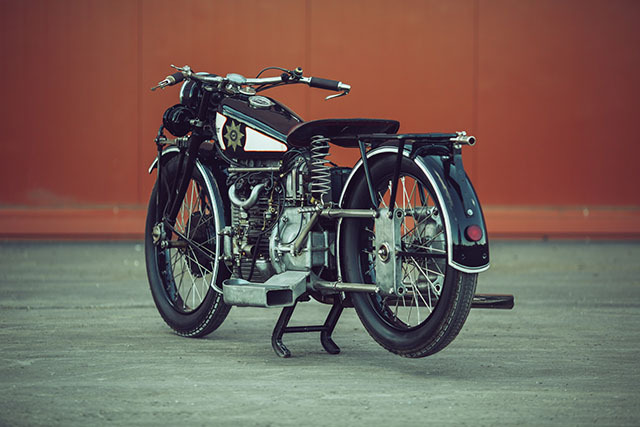 From the collection of Russia’s ‘Motorworld by V. Sheyanov’ representative Peter Moskovskikh brings us this 1927 Windhoff 750 that is arguably the most important motorcycle developed in the inter-war period and that includes surpassing even the lofty heights of the Brough Superior SS 100. 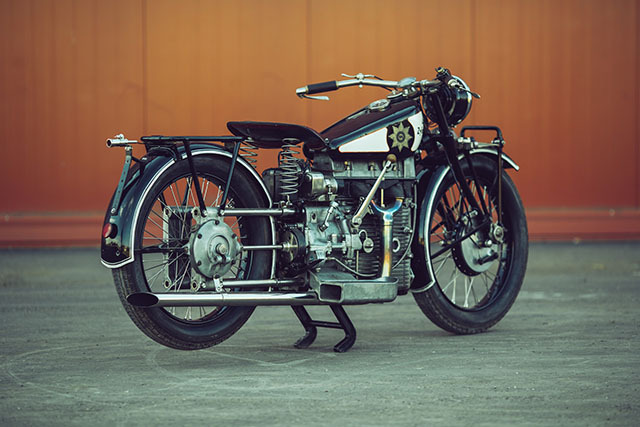 As a motorcycle builder Hans Windhoff had only a short run, his company lasting just a decade before the economic crisis that gripped Germany put him out of business in 1933. Not only was the country in the middle of a devastating depression but Windhoff had expended an enormous amount to build the 750 and it was marketed for sale at Bentley prices when selling Hyundai’s would have been hard. But with engineer Ing. 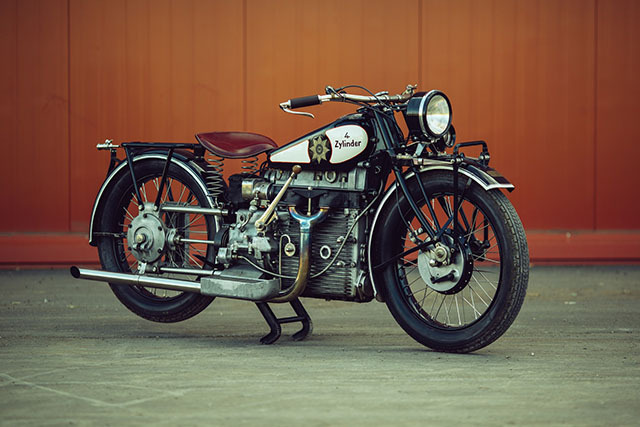 Dauben who would later play a vital role at Mercedes they built a motorcycle with technology still used to this day and at the Berlin Motor Show in 1927 they set tongues wagging. 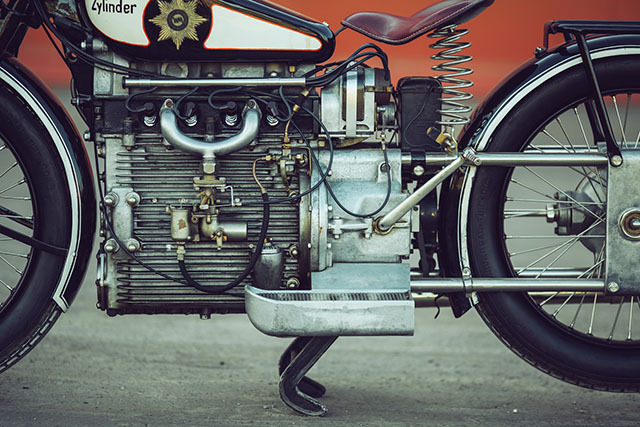 The first unmistakeable element of the Windhoff to shock the crowds was the 746cc engine, not only was it a four cylinder, four stroke, it used an overhead cam. 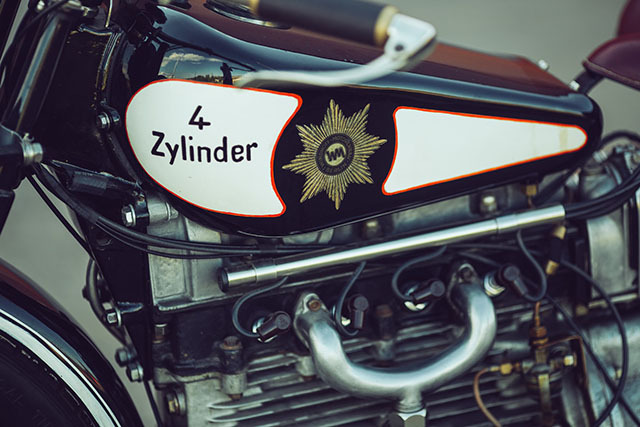 This was a first for a four cylinder motorcycle and a design element featured on the vast bulk of production bikes today and all modern superbikes. The cam operated in an aluminium head and directly activated the valves via a series of cogs run off the camshaft. The result was an engine as smooth at low rpm as it was idling or at low speed, a very rare creation at the time for a large capacity machine. 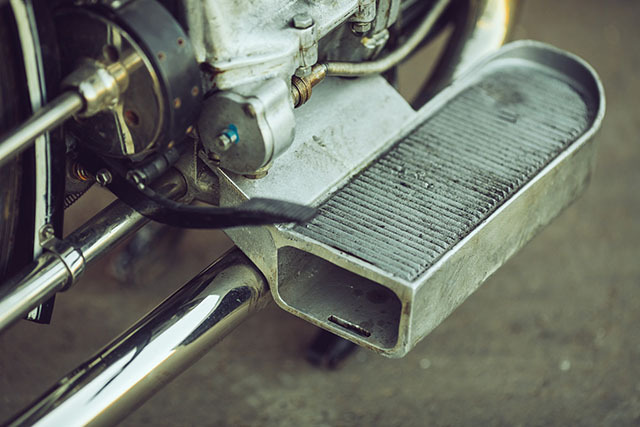 Further impressing the onlookers was the aluminium block that used cylinder liners for improved strength, again a feature still used to this day in even the most high performance of engines. The 63x60mm short-stroke produced 22hp at 4,000rpm and was capable of propelling the Windhoff to a ground breaking 120km/h plus. But Windhoff and Dauben were not done there, the engine was also oil cooled with absolutely no external oil lines. 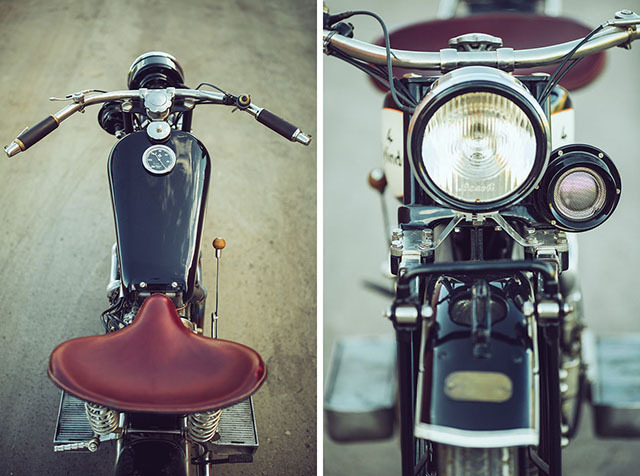 An oil cooled motorcycle had only once before been brought to production but never with this level of sophistication or clean lines. The finned aluminium engine acted as a heat sink like almost all modern engines of the same design with an oil pump mounted in the sump driven off the crank and oil pumped under pressure throughout the engine before returning to the sump via internal channels running close to the outside fins for maximum cooling. This was also the pre-unit times, when engine and gearbox were two separate units linked by a common chain. Not so the Windhoff, the three speed manual gearbox used a multi-plate clutch that was cooled by the same oiling system and featured a common housing with no physical separation other than the ability to split the engine for servicing. With a common unit engine and gearbox with so many advancements you’d have forgiven Windhoff for simply stuffing this moto into a basic frame, saving money and still wowing the crowds. Instead he took the chance to create another leading technology that took Casey Stoner to a MotoGP World Championship 80 years later. The aluminium engine acted as a stressed member with the suspension, front and rear hung from various parts of the block. 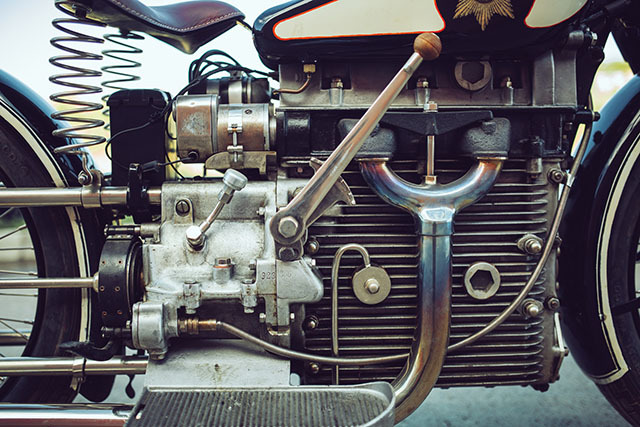 But unlike the many motorcycles that have used this technology throughout the years the Windhoff was just like Stoner’s Ducati Desmosedici in that the headstock too was mounted to the engine without the assistance of any trellis or beam frame that other motorcycles require. 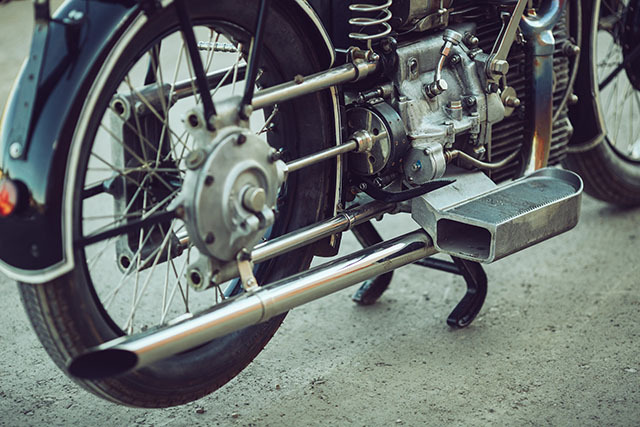 The steel headstock supported a leading link fork, complex in design, that used two quarter-elliptic springs as shock absorption. The rear suspension was rigid with frame tubes coming straight off the gearbox to support the rear hub. 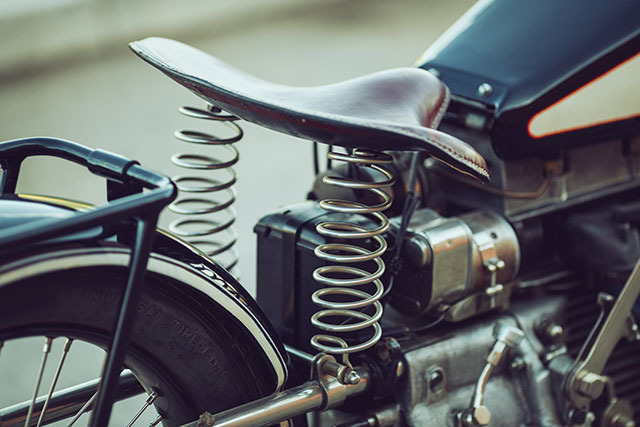 The 14 litre fuel tank sat atop the engine held in place by steel framing underneath and along with the leather sprung seat gave the Windhoff a classic look for the period. 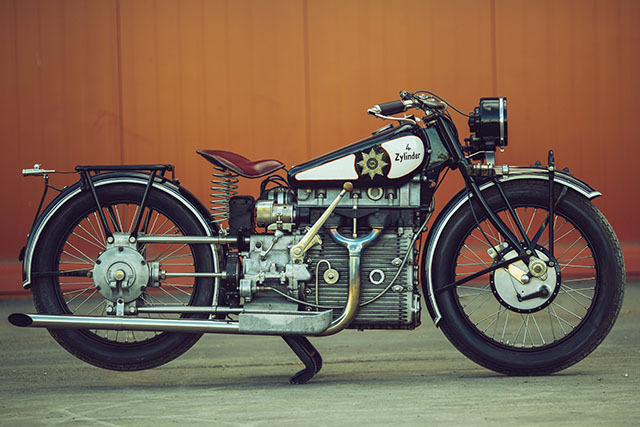 With quality paintwork, large spoked rims, it’s ground braking engine and frame and Swiss like precision instrumentation it led leading motorcycle historian Erwin Tragatsch to describe the bike years later as “the most unique, progressive and beautiful motorcycle ever made”. 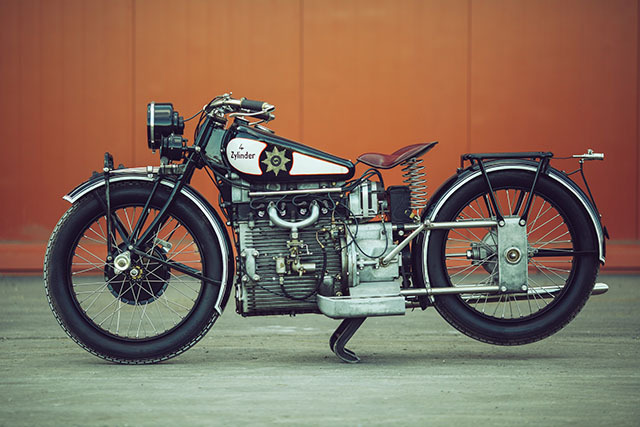 It had superbike performance for it’s time, a remarkable low weight of just 183kg which is impressive even by today’s standards and a level of technology that was copied by the very best nearly a century on. But hard economic times hit, Windhoff went broke and only a few examples remain. 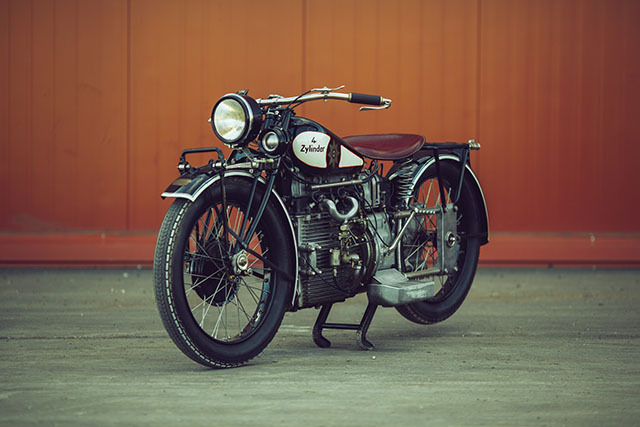 But collectors recognise the genius that was the Windhoff 750 and Bonhams believe the next example on the market will sell for more than $200,000. 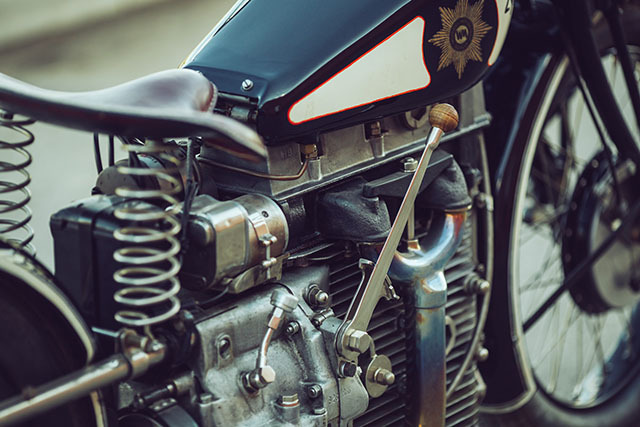 It’s the final recognition that Windhoff himself never got in his life time, but is proof positive of the legacy he left and the importance of the inter-war period to the bikes we ride and love today.